As seniors get older, it may be harder for them to continue to live in their current homes. They may not be able to walk up or down the stairs or get around their kitchen. Some tenants might have disputes with their landlords that need mediation services. Our Housing Services Program, funded by the S.F. Mayor's Office of Housing, provides information and assistance regarding housing opportunities and housing-related mediation services. We provide information about available properties, their amenities, income requirements, rent, and occupancy. Housing comes in all sizes and forms around the San Francisco area. Although we provide the housing opportunity list, Self-Help for the Elderly does not own the properties. Units are low-income and dependent upon residents’ income. They will either pay a percentage of their income amount or a set rent amount. There are a limited amount of spots, so demand is very high, but we put together a waiting list for people who are interested. Numerous meal support services are located close to the housing areas that provide meals to residents. 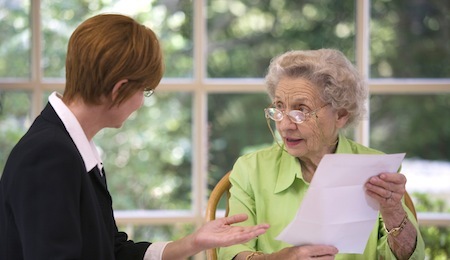 Seniors are also provided with mediation assistance to resolve disputes that they may have with their landlord. They will learn their rights and learn how to exercise them. They will also learn what housing discrimination looks like and how to protect themselves from it. To learn more about the Housing Services Program and access an updated and current housing availability list, call Self-Help for the Elderly today.